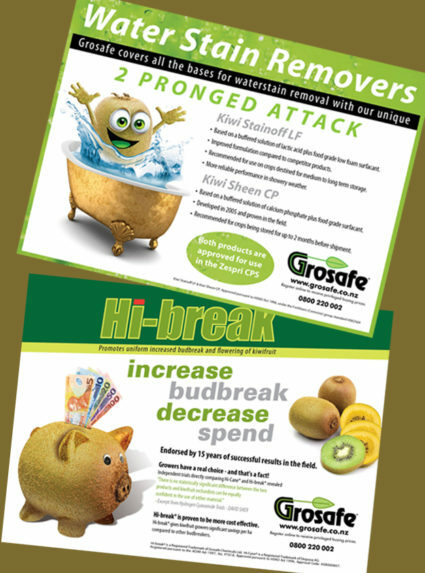 I began working with Grosafe after they saw a succesful Point of Sale campaign I had worked on with Motiti Island Avocados. 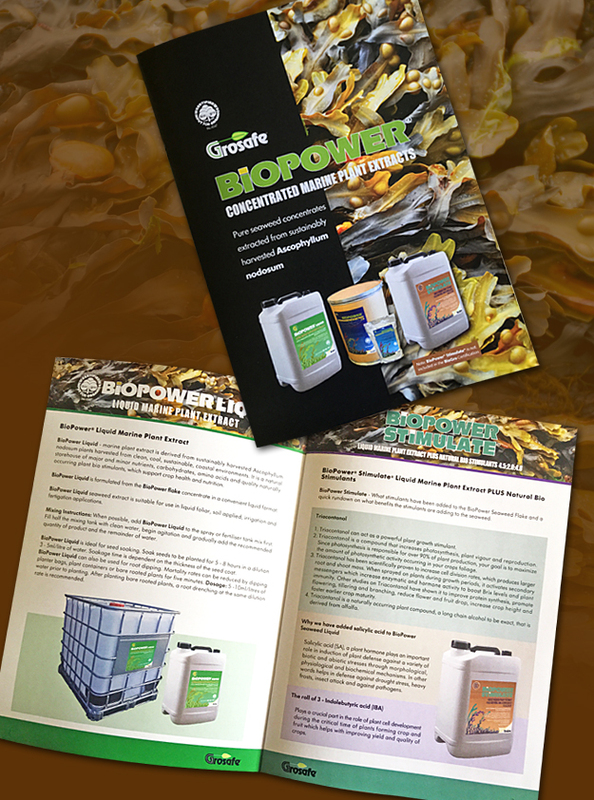 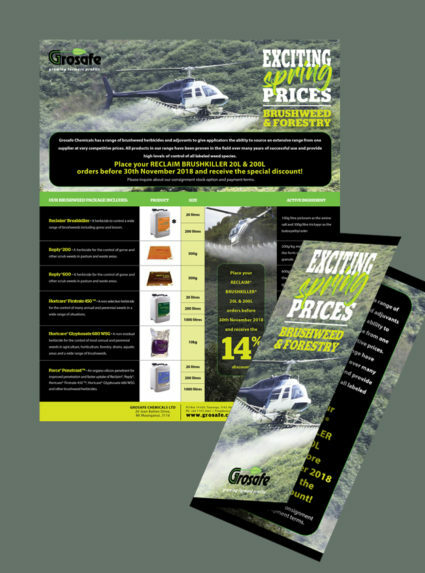 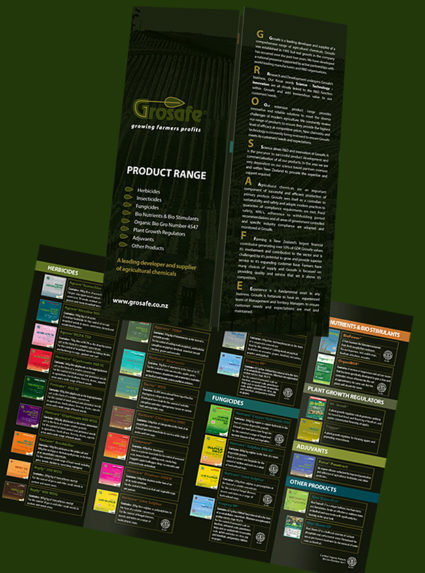 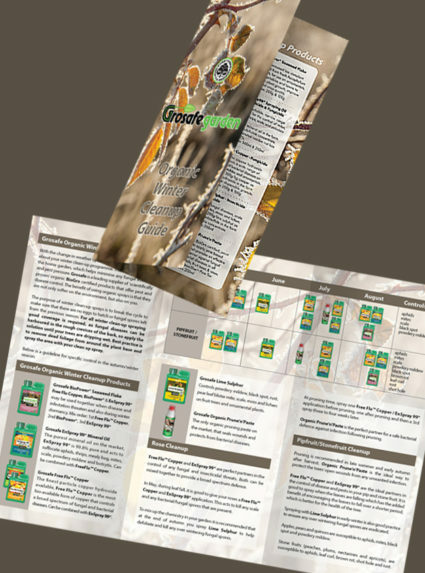 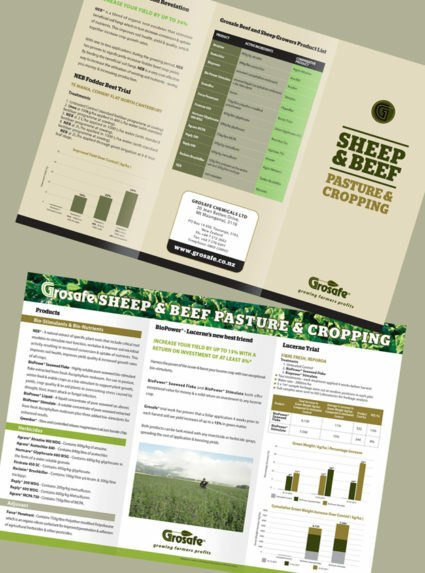 I have designed catalogues, for their agricultural products and their Grosafe Garden range. 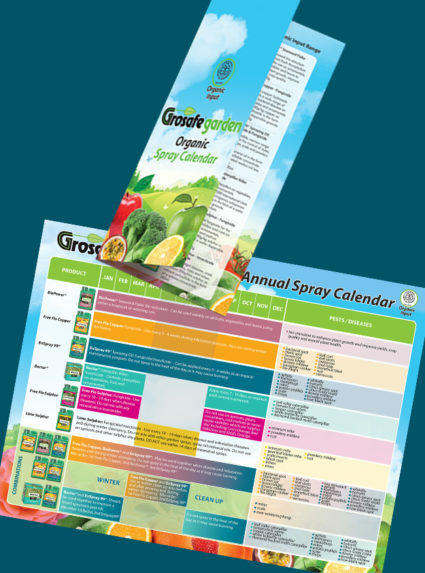 Also a series of spray calendars and guides. 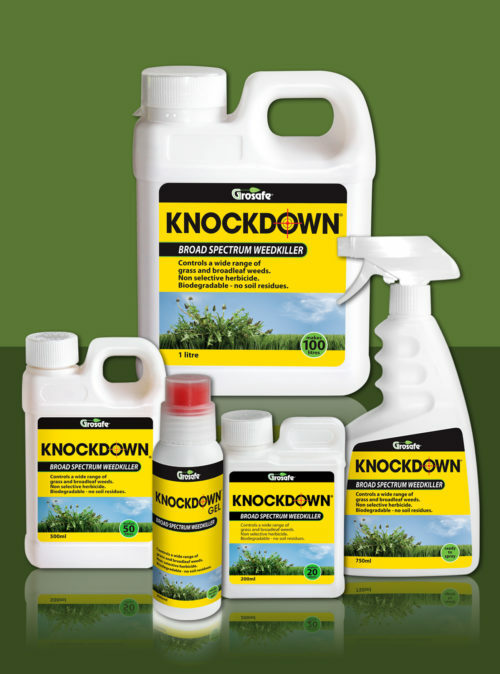 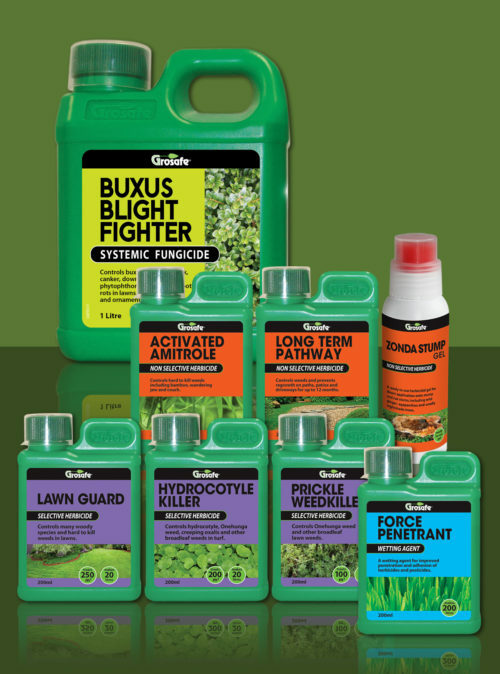 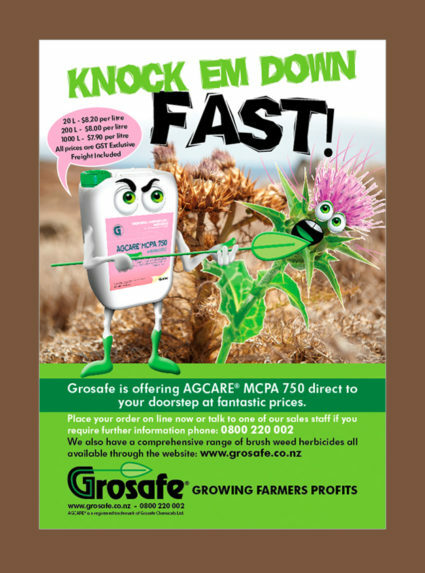 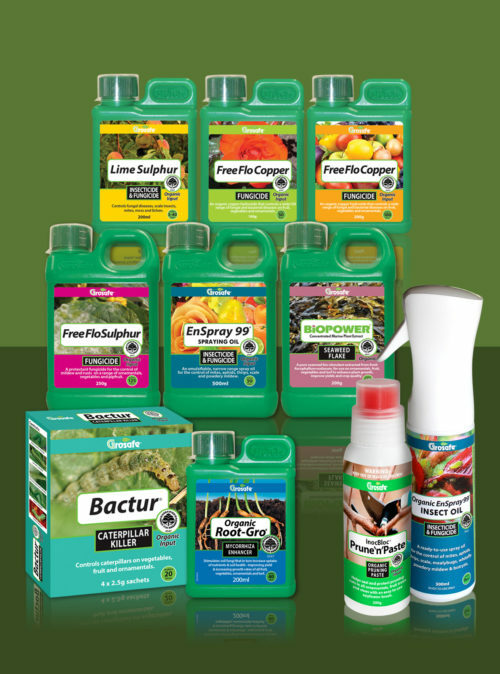 I have also designed the Grosafe Garden Range of labels for organics, herbicides and Knockdown. 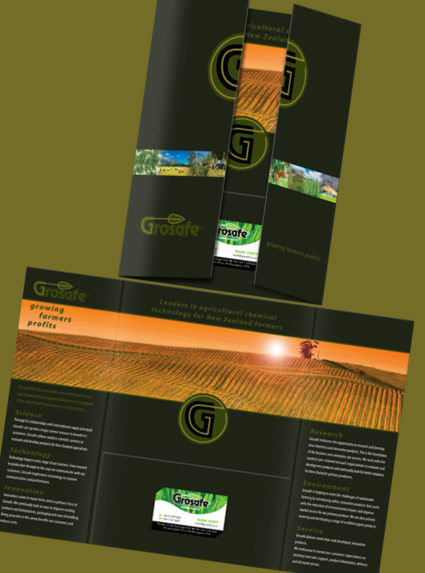 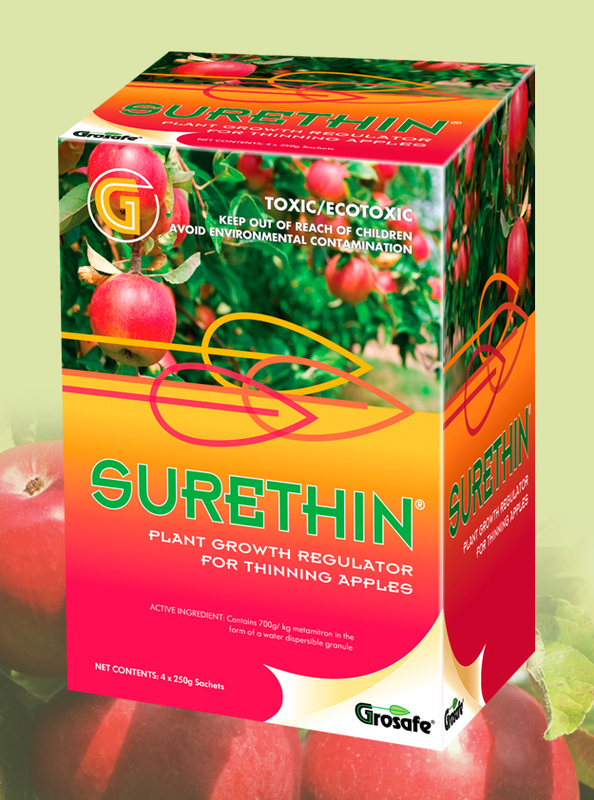 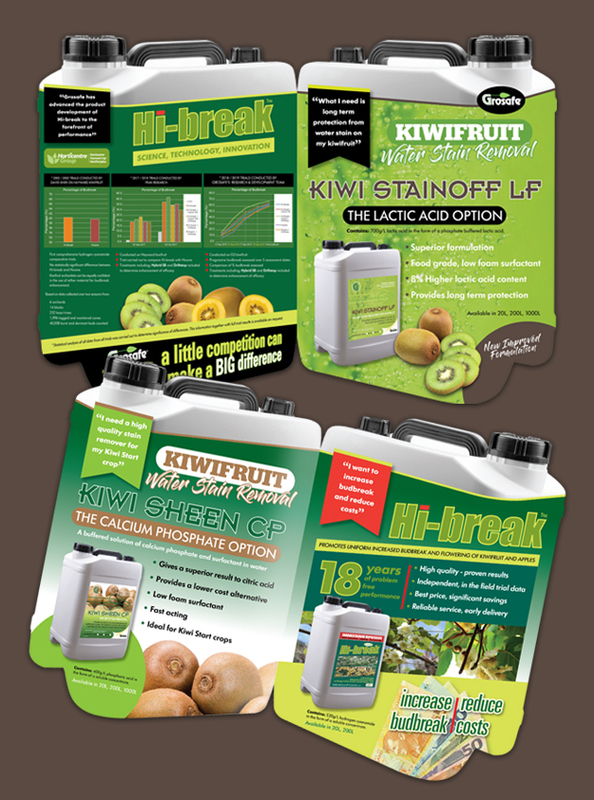 We have done several magazine advertisements, flyers, marketing materials and websites for both the agricultural chemical division and Grosafe Garden for the home gardener.